At the Korea Hapkido Federation Haemukwan schools we teach real world street self defense skills through the martial art of Hapkido. techniques up by first creating an off-balancing situation that results in an over-reaction from our opponent. This will feed into finishing the fight with kicks, strikes, joint manipulations/breaks and throws. When you train in a Hapkido self defense class you will learn that REAL fights are unpredictable. A victim might get punched, kicked, tackled, from the front, from behind, etc. So the ability to switch techniques on the fly are vital in surviving an attack. If an attempt at one wrist lock fails, switch to another without breaking a sweat. That is where the value in Hapkido lies, obtaining the ability maintain control loosely leading the opponent into an ever worsening position. This ability is much like a chess master biding his time for check mate. kicks, strikes, throws, joint breaks, pressure point and vital point compliance total defeat of an attacker. Please leave your comments below and share your Hapkido self defense tips. Thank you. Here is an article that best explains the Korean Self Defense Art of Hapkido. HapKiDo: The Korean Art of Self Defense Hapkido is known in Korea as military art of self-defense. The Korean Hapkido Federation style of Hapkido is the military art taught to and practiced by, the Korean police and the elite Korean military units. While this art is at its essence an unarmed art, there are some notable exceptions in Hapkido. 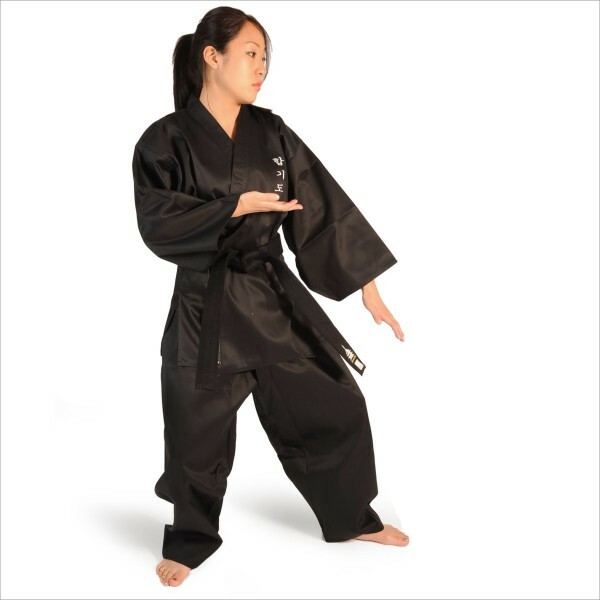 Hapkido as it is taught by the Korean Hapkido Federation schools includes the use of improvised weapons. Hapkido cane techniques, for example, are known for their efficiency. An apparently infirm, elderly, or disabled individual trained in Hapkido cane techniques may very well provide a would-be assailant with a very hard lesson. During the brutal Japanese occupation of the Korean peninsula, 1905-1945, the Japanese attempted to destroy Korean culture, history, arts, and even the Korean language. Practice of the traditional Korean military arts was strictly prohibited and, if caught, the punishment was potentially fatal. When the Japanese Empire was finally crushed in 1945, a new Korea began to emerge from the ashes. Hapkido began in post-war Korea with Daito-ryu Akijujutsu by means of a returning ethnic Korean who had spent the war years in Japan. While this may have been Hapkido’s origin, in the six decades that followed Hapkido has evolved into a strictly Korean military art. Kano Jigoro, the Founder of Kodokan Judo, a martial art that started life known as Kano-ryu Jujutsu, expressed the opinion that Daito-ryu Akijujutsu was the highest form of jujutsu. Not a bad position from which to begin the conversion to an even more effective military art. development of a traditionally educated Asian warrior. The course of study for a Hapkido practitioner is both wide and deep. For those who choose to train at an official Korean Hapkido Federation School it is a education in not just martial arts, but history and culture as well. HAPKIDO- A Unique Martial Arts for Developing Wisdom. In the nations culture they have some-thing to contribute into martial arts and have an understanding that what technique they are going to teach and of what benefit the practioners will get it. The most popular martial arts for self-defense in modern times is given to the world by Korean culture and we all now call it HAPKIDO. Hapkido is a pure traditional martial arts used for self defense in south Korea. The art is previously practiced mainly by buddhist temples ,royal court ,sun and presidential body guards of Korean. Today in the millennium years, the South Korean Hapkido martial art has been flourished all over the world and practiced by many nations. Few nations have made high superiority in Hapkido techniques with its birthplace practioners. Hapkido is mainly focused on self-development skills and motivate personal confidence and strength in human personal life, which ultimately makes a person successful in every corner of life. The technical areas focused in Hapkido teaching from white belt to black belt is composed on basic exercise , special breathing techniques ,Self-defense, kicking, board breaking and sparring. In self-defense techniques, joint locks, pressure points, ground fighting techniques, blocking. It’s curriculum also includes selected weapons. There are many Non-Korean masters in the world who develops unique methods or styles in Hapkido and get recognition from leading Hapkido world wide organization according to the needs of their nation and members. The Hapkido unique techniques are composed of soft and hard. The soft techniques e.g. are throwing, chocking, paralyzing, and twisting, while hard techniques e.g. punching, kicking. The Hapkido practioners not only redirects the attacks but turn it back against the attackers and follow through with offensive techniques if require. Hapkido students can learn the concepts that are based on scientific principals of anatomy and biokinetics, as well as psychology and strategy. The great emphasis is on redirecting the assailant’s force and controlling the attackers with minimum efforts on the student’s part. The ideal Hapkido practioners could be any one-e.g. men, Women, Business man, Law enforcement agencies, Police, military , busy professionals as well as students of schools, college and universities. Studies have shown that Hapkido system is also ideal for senior citizens as well. Hapkido is strongly oriented to practical self-defense rather than the competitive or sports oriented approach. The modern approach in training of Hapkido provides any of its practioners to deal in real fighting situation in the streets, parking lots, stores etc. As a Hapkido master instructor in today’s modern world I suggest every one to go into Hapkido training and develop his mind, body and soul to live longer, happier, healthy and wisely. So in true sense one who has been master in Hapkido techniques by the passage of time in years can be considered a wise man than a normal human being. A wide range of martial arts people around the globe including Hapkido practioners are of the opinion that the new concepts in martial arts are turned into sports and many martial arts are become Olympic sports like Judo and Taekwondo, and many others are in process of getting recognition with Olympics like, Wushu, Karate, Thai kick Boxing, Pencak Silat, Ju-Jitsu etc, and some gets recognition at some stages. Hapkido also need a strong unification at organizational level and to make Hapkido under one umbrella, which is a very big task, for its leaders to full-fill. Its time now for Hapkido leaders to think over what and where they want to take Hapkido to make it most popular martial arts in the world with all its modern and traditional ways. 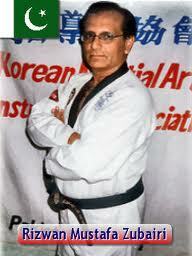 About the author: Prof Dr Rizwan Mustafa Zubairi is a highly respected International Master Instructor-5 th Dan. He is also President & Founder Pakistan Hapkido Federation, the official Hapkido branch of the Korean Martial Arts Instructors Association in the country of Pakistan and a master of Haemukwan Hapkido. Professor Zubairi can be reached by e-mail at zubairihapkido@yahoo.com . Be sure to read his articles in World Martial Arts Magazine. American Dragon Martial Arts Academies is EXPANDING! We have become so popular in Lake Country that we are adding a second location to better serve the community. We now have a second Hapkido and Taekwondo location serving the West Clermont, Groveland and Mascotte area. 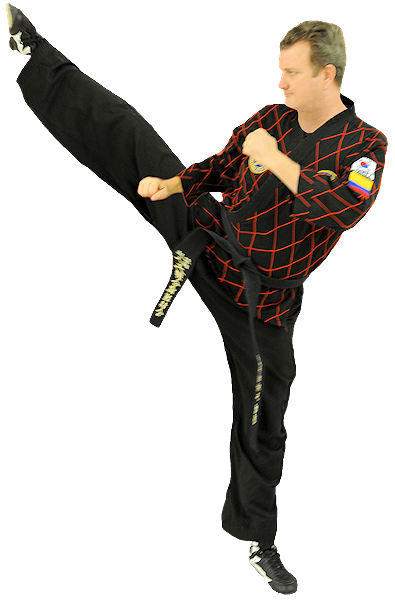 The location is at 1158 Fifth St. Clermont, FL 34711 at the intersection of Fifth Street and Hwy 50, just two blocks West of the Winn Dixie shopping center with classes in Taekwondo and Hapkido. 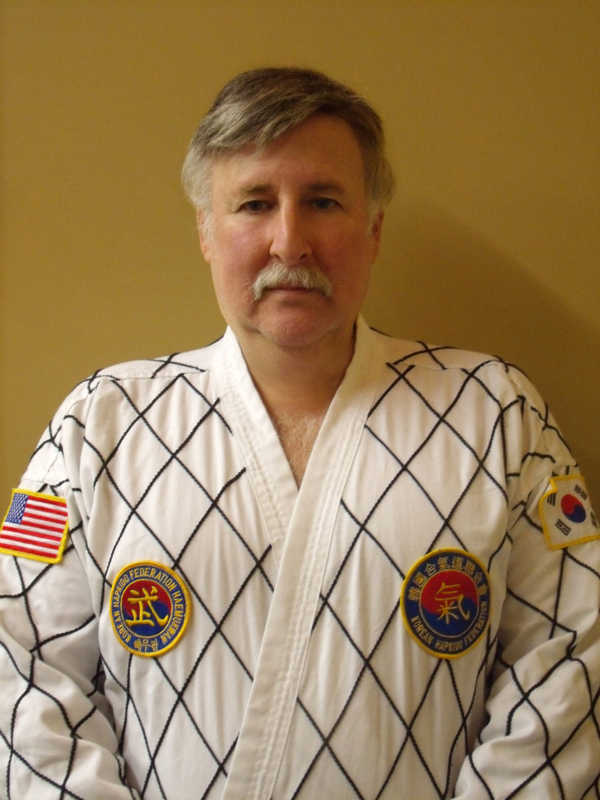 The Chief Instructor is former Korean Marine Corp Demonstration Team Captain 5th Degree Korean Hapkido Master KiPyo Lee serving as Hapkido teacher. Grand Opening Party announcement coming SOON! Call 352-536-5063 for registration details. Registration starts August 17th, 2010.
availble for you and your students that will have a monthly article about Hapkido training or Hapkido History. From time-to-time there will be special announcements about upcoming Hapkido events and trips to Korea. You can subscribe for free at www.hapkido.militaryarts.kr or in the USA visit www.haemukwan.com . For the best Hapkido training in your area visit our Haemukwan Hapkido schools at www.americandragononline.com . You can hear our new radio show at www.worldmartialartsradio.com or watch our Hapkido students on television at www.worldmartialartstv.com . You are currently browsing the archives for the hapkido training for women category.